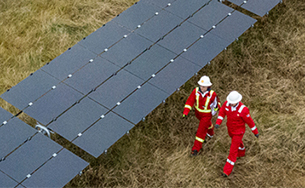 Shell often works in joint ventures with national and other international energy companies. These organisations bring important skills and experience to a joint venture. More than half of Shell’s joint ventures are not operated by Shell. We do not have direct control over how these ventures embed sustainability in their operations but seek instead to exert a positive influence on their operations and offer our support. 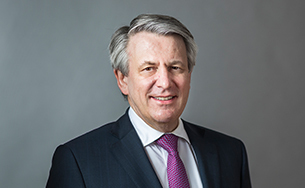 For instance, our Shell joint venture representatives and the Shell-appointed member(s) of the joint venture’s board expect our partners to adopt the Shell commitment and policy on health, safety, security, environment and social performance (HSSE&SP) or one materially equivalent to our own. They are also expected to put in place standards to adequately address HSSE&SP risks. When these joint ventures implement our control framework, or a similar approach, Shell teams carry out independent audits or participate in the joint venture’s own auditing programmes, which helps to assure the joint venture’s compliance. We also offer to review the effectiveness of the framework’s implementation, overseen by the joint venture’s board of directors. 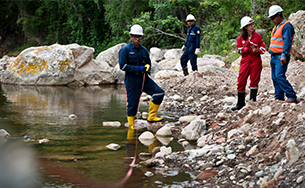 We periodically evaluate the health, safety, environment and community risks of the joint venture. If the joint venture is falling below expectations, plans will be put in place, in agreement with the other partners, to improve performance. In 2018, we continued to work with our partners on adoption of our greenhouse gas and energy management processes. For example, we supported Badr Petroleum Company in Egypt (Bapetco, Shell interest 50%) to assess its greenhouse gas emissions to a reasonable level of assurance as well as to identify several solar and gas-saving opportunities. Petroleum Development Oman (PDO, Shell interest 34%) has just awarded a contract to build a 100 megawatt solar photovoltaic independent power producer project. The plant will provide power for PDO’s own operations and be the first of its kind in Oman. We also helped build capability within PDO to conduct carbon and energy benchmarking of their assets and collaborated on the implementation of the energy efficiency surveillance software, resulting in annual energy and cost savings to their processes. A deployment of the software has also recently been initiated in Karachaganak Petroleum Operating B.V. (KPO, Shell interest 29.25%). In 2018, we trained around 875 people on four large-scale oil spill exercises – one of them in Kazakhstan with the Kashagan joint venture (NCOC, Shell interest 16.81%). Read more in Preparing for emergencies.